English has long been one of the most important languages to know in today’s world. It reigns as the language of business, and generally maintains a sizable presence throughout the modern world. Thousands of people of all ages seek to learn the English language every year, which is why we turn to English as a Second Language educators to handle the job. If you aspire toward this career, you know how complex English language education can be. It will be your job to ensure your students come to gain stronger mastery of the English language on several dimensions. In the state of New York, all incoming educators are required to take the NYSTCE, or New York State Teacher Certification Examinations. ESL teachers specifically will have to take the NYSTCE English to Speakers of Other Languages (ESOL) exam. This test is designed to assess your capabilities within your chosen field, as well as your preparedness to start your career. No teacher can step foot in the classroom professionally without first passing this exam. The NYSTCE English to Speakers of Other Languages (ESOL) exam will take about three hours and 15 minutes to complete, and is 91 questions long. These questions split into two distinct answer categories: “constructed-response” (essay answer) and “selected-response” (multiple choice). One question will fall under the former category, while the remaining 90 are the latter. To help you prepare for this exam as thoroughly as you can, the Mometrix Test Preparation team would like to offer you our NYSTCE English to Speakers of Other Languages (116) practice test. This study tool is 100 percent free for you to use, and designed to give you a glimpse of how the real exam will work in terms of material and formatting. 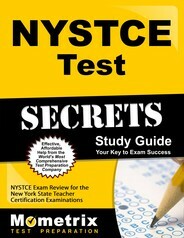 We recommend it for anyone looking to familiarize themselves with the full NYSTCE exam. 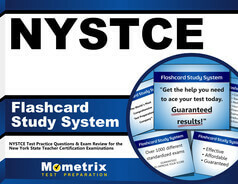 While the Mometrix NYSTCE English to Speakers of Other Languages practice test is quite effective on its own, it works best in conjunction with our companion study guide. Good luck!